From one of the leading developers of battle royale games on the mobile gaming market, NetEase Games recently added Carton Wars to its huge roster of successful titles like Rules of Survival, Survivor Royale, and Knives Out. 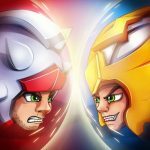 Carton Wars is a free-to-play action battle royale game that pits you against 29 other players for up to 5 minutes in the same arena. What sets it apart from most battle royale games primarily rests on the cardboard box stylized characters and settings making the visuals look more kid-friendly and light. 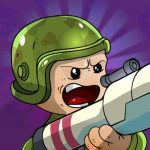 Contrary to conventional weapons, equipment, and abilities, Carton Wars boasts loads of fun and zany content even veteran battle royale players haven’t tried before. There are various characters that can be acquired by playing through the game, each with different stats and unique special abilities. For all battle royale experts and newbies in the genre, either kids or kids at heart, Carton Wars has definitely something in store for you to check out. Carton Wars pushes you to the fast lane towards mayhem and mischief as it throw you instantly to battle once you start the game. For the panicky players, it may be quite a startling baptism of fire especially those who may be looking for a tutorial. With only 5-minute matches, 30 players, and a comparatively smaller map, everything happens fast in this game and you need to learn as you go. As tough as it seems, you have to consider your first battle as the tutorial and be better on the next match. There are lots to explore within and outside of the battle arena and there other ways to learn as well. So if you’re looking for a guide on how to start things better in Carton Wars, or if you’re pretty much getting the hang of it but want to discover more tips and strategies, then we got you covered towards raking in more wins, earning rewards, and dominating the arena with our Carton Wars beginner’s guide. As a general strategy for most battle royale games, having your own crew you can strategize with is key to winning matches. Although you can still coordinate with random people you can team up with, getting to know one another’s strength and weakness may take time or may not happen at all if members keep switching in and out. Although you can always play alone or with just a partner, having a full team can lead to more advantageous strategies, especially if it’s well-coordinated. Later on, as each member of your team gets accustomed and finds preferences with regard to characters and roles, then you can establish even better offensive and defensive plays to use against everyone else in the match. As there will always be other people playing in teams in the game, be ready to constantly prepare before each match, and continuously coordinate plans of action during the match. If you play solo and die early on in a match, you won’t be expecting any more rewards or points unlike if you are in a team and some or at least one of your team mates make it far enough or even win the match for the team. Likewise, playing solo against multiple players leaves little room for hopeful expectations. It has been a very established and widely used mechanic for battle royale games to drop player off in a map at their own choosing, with a bit of time limit of course. Just the same you can always plan ahead of the countdown where you and your team should choose to jump off to. Depending on the level of your skills and preferred strategy, there are multiple approaches you can always go for. The first and probably most popular is the early drop. A lot of players go for this with the mindset that the sooner you land, the sooner you loot. As it does mostly work out that way it sounds like a pretty encouraging strategy. As many players go for this tactic, however, expect the initial drop zone areas full of players rummaging for loot and killing on another. If you will be among those to survive the initial confrontations, then you can be sure that you will be stronger and be more ready for the endgame battles. There are also areas that are consistently known to house a lot of weapons and equipment that can be very helpful to you especially at the start of the match. Being able to find a weapon and some items within a minute after you touch ground can make a lot of difference especially if there are a lot of enemies close by. You can start hunting the unarmed players and defend yourself as well when assaulted by other players. Unfortunately though, there will also be a lot of players going for this strategy and the chances of engaging in battle will also be high when opting for this choice but most likely not as much as the first strategy we mentioned. If you have a good enough feel of the game and want a bit of early action but not as hastily, you can always select this approach. Lastly, but definitely not the least is dropping off at the last second and aiming for farther areas of the map. This will most likely put you at the edge of the safe zone and may likewise place you in spots where there may not be as many weapons or resources. Expectedly though, chances of encounters will be at a minimum. 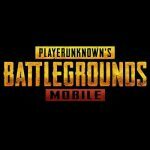 It may even happen that there will already be less players in the battle arena by the time you touch the ground. As difficult as it may be for you and your team to arm yourselves with this strategy, you can still always scavenge around and hope to still be able to put up a good fight against the remaining survivors. This may not be the best choice if you are aiming to bank some kills, but to earn top spot, this may be the best chance to take. Keep in mind that with the above options, no one can say that one is the best and the other is the worst. It is all about knowing your team well and being able to identify which strategy works best for everyone. To be sure, you should go and try the last one which promises the least encounters before moving forward with the other options. Perhaps the most common rule in every team play and nonetheless the most important, being with your team is an ever essential requisite of being effective. Again, this is one of the reasons why you should aim to play with friends, whether friends in real life or the ones you make while playing Carton Wars. Oftentimes, while playing with random people, there will be someone or a couple who will stray off the team even when you or someone has already marked the target drop off before the jump. Finding a team mate away from the rest of the team gives less hope for him or her surviving. It will be a struggle as well if the rest of the team makes effort to reach the straying player. If there are three of you and you accidentally come across a four-man team, then the chances of all of you surviving becomes much less than it would if you were all together. There may be downsides as well if the entire team stays too close to one another at all times. In terms of being able to loot more, spreading a little more can give each member more opportunities to arm themselves better whereas everyone passing through the same narrow path may leave others missing on weapons and other bare essentials. Strategically therefore, stay close enough that you can see at least a member of your team in your screen and make sure that each one is within close reach if anyone comes into contact with trouble. As a common requisite to every battle royale survival game, the area within which players battle it out must continuously compress to force everyone into engaging one another. In Carton Wars, the same shrinking safe zone applies and getting caught outside of it and in the storm will drain your life away fast. As this is already a well-known game mechanic, it’s hardly uncommon nowadays to find players dying because the storm caught on to them unless it’s their first time playing a battle royale game. It still happens though but you should never be one of those people. Instead of always running from the storm’s area, you can always identify potential safe zones later on which is a spot smaller than the current safe zone. You should aim to go ahead before the safe zone shrinks, while being careful as well for oncoming enemies and ambushes. On the other hand, if you are lucky enough that you don’t need to move since the safe zone centers on the area you are in, grab this opportunity to ambush oncoming enemies. Another important decision you need to learn early on is being able to identify between opportunities and threats. As Carton Wars and battle royale games are a survival game above everything else, you should be able to assess each encounter situation and determine if you can succeed in each confrontation or not. As a general rule, if there are more of them than you, then you should not engage, regardless if the enemies on sight are on the same team or not. More so, if there are two or more teams around you; feel free to have them battle it out first before you swoop in for the kill. 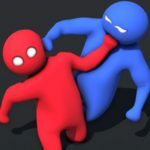 It may happen as well that you have already engaged an enemy or group of enemies but then fell short and swayed towards the losing end of the battle. You can always try to flee and recuperate first before you try and re-engage. It is normal to encounter players who are stronger than you on your first encounter with them, so you may have to turn back at times to strengthen yourselves further and strategize anew. You should know that unlike in most battle royale games, there are no dying statuses and revivals in Carton Wars, so once your life is depleted you are out of the match. Every weapon you use can only be used several times in a row and consumes energy. As it takes a while to recharge, you should make each shot count and not smash on the attack button. Aim well before you take each shot and take control of the right stick as well as you do on the left one to ensure that no shots are wasted. Remember that you can switch to your alternate weapon if you have one as well. You may opt to keep a melee weapon handy for emergencies, as these don’t consume as much stamina. There are a variety of skills you can get and use in the battle arena and each of them can be used greatly to turn the tide of battle. Be sure to try each out to identify the best scenario when to use them. There will always be opportunities to use some of these skills as a surprise in the event of a confrontation with an enemy or group of enemies. For example, you may hold on to your shields and activate it only when engaging the enemy. You can always activate it ahead of time in case you are ambushed but keeping it on standby till you mostly need it can help you win in an otherwise losing scenario. Be sure to take note of the items in your inventory as well. In the chaos of battle, you might forget that you actually have healing items in stock and forget to use them. On the other hand, using them prematurely may lead to you needing the item more later in the match. While it is important to always try to keep your health full at all times, the battle arena has areas that can restore health for you and such. Since you should almost always be moving anyway, you might as well try wait till the last second if you really need to use the healing item. Towards the end of the match though, the small safe zone and more clustered together players will call for more defensive strategies and will mostly require you to spend everything you have just to survive. If you happen to perish ahead of your team mates in a match, don’t consider it as the end of the battle and leave the match before it ends. There is always something more for you to learn by watching how others play and choosing to spectate after each death is the best opportunity to do just that. Regardless of whether or not whoever you are spectating seems better or worse than you are as far as duels go, watching players engage and win in battles or make some mistakes that you may have made yourself. In any case, you can pick up some lessons enough by determining how you would have performed differently in the situations you have watched and at the same time perform differently as well on your next matches. Bushes in Carton Wars make you invisible and provide a great hiding place when you don’t want to engage players head on or when you need to flee from battle. Of course, since you constantly need to gather better weapons, gears, items and bits of experience as well, you can’t go on being a bush camper in a 5-minute match. Using bushes wisely doesn’t mean staying in one longer than you should as there are efficient methods of utilizing these backgrounds while aiming to gain as well. For starters, don’t run into a bush to try and hide from an enemy that can see you going into one. Bushes just make you invisible and not invulnerable. As you will almost always be travelling rather than staying in one place, especially at the start of the match, use bushes to travel from one point in the map to the other. It’s the best course to take when heading towards the unknown and at least be ready to ambush in case there are unsuspecting enemies ahead. In the heat of battle you will most likely take damage even when you win against an opponent. After grabbing what you need be sure to find a nearby bush to heal yourself up instead of doing so in an open area. As healing takes a bit of time depending on how much damage you have taken, using healing items in a bush should become every player’s habit. On your first day on the game you may earn several rewards already that can give you an option to randomly unlock some of the characters. On top of each character’s wacky faces and features and varying stat attributes, what is more critical perhaps is their unique abilities which can all be helpful in battles especially if handled efficiently. As these traits (other than the character’s appearances) may become your main determinant in choosing your favourite one, you may want to try each of the characters you have to see how well each one plays under your command. Remember that getting to know each character well doesn’t only increase your proficiency in using them; you will know how to better handle fighting against each of them in battle as well. As far as team plays go, using characters that blend well together opens up a wide variety of strategies for your team to bank on. As each individual in the team may easily have their own personal favorites, finding ways to synergize each of your characters strengths in battle can be key to dominating the battle arena. Once you reach level 6, you can already begin enhancing your characters. There are items you can earn or buy in the game to boost a character’s strength, health, and speed as well as level up his or her skills. Although you may have earned a lot of these by the time you reach level 6, keep in mind that these are hardly enough to make drastic changes in one character’s attributes. It may take a lot more games and wins for you to earn enhancement items so it is best to decide first on which character is your favorite before choosing to spend these items on him or her. You can also spend gold and gems to buy some of the items in the shop. At level 9, you will unlock the sticker system which further customizes one player’s character from another. There are many different stickers that you can get but finding the right one for the character you have may become a challenge. Be sure to read what each can do carefully before you attach it to your character. On top of the experience and items you can get from playing matches, there are daily, weekly, and seasonal tasks as well that give you great rewards for each task’s completion. As you may want to strengthen up your favourite character as fast as you can, you should make every attempt to complete each task as much as you can. Most of the tasks are fairly easy to accomplish in that you can actually complete a lot of them just by playing normally. To be sure that you don’t miss anything though, be sure to check the list out at the upper right hand of your screen. That completes our Carton Wars beginner’s guide! You will surely be able to earn more wins in matches after following these few, simple tips. We hope that you’ll remember each one as you play and make each form part of a habit while you dive into matches one after another. If you play as much as we do and happen to discover something we haven’t mentioned in our guide, we would love to hear about it. Be sure to let us know about additional tips and strategies in the comment section below!